Get discounts according to your percentile on the MBA Interview Prep Course. Fill in the form above, and we will get in touch with you! 23rd January, 12:33 pm: NMIMS GD-PI shortlist is out. You can access it here. 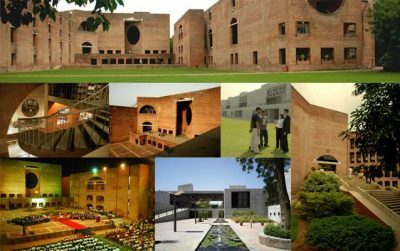 IIM Rohtak shortlist is out, you can access it here. 15th January, 3:20 pm: IIM Indore short list is out. Check here. 10th January, 5:45 pm : IIM Lucknow shortlist for PGP, ABM, SM is out. Check here. 10th January, 10:18 pm – IIM Kozhikode shortlist is out. You can check it here. The registration for stage 2 shortlist of PGP Admissions 2018-20 is open till 23:59 hrs on 12th January 2018. 9th January, 2:15 pm – IIM Calcutta shortlist is out. You can check it here. 9th January, 1:00 pm – IIM Bangalore shortlist is out. You can check it here. 8th January, 4:01 pm – IIM Ahmedabad shortlist is out. You can check it here. 8th January, 3:30 pm – Got your CAT scores? Get your profile evaluated for MISB Bocconi, here. And for IFMR Chennai, here. 8th January, 10:30 am – CAT 2017 Results are out! You can check it here. 6th January, 9:00 am – No sign of the results today. Also, with XAT being conducted tomorrow, it’s highly unlikely it’ll come out over the weekend. In the meanwhile, check out this reading lists – Books You Can Read While Preparing For CAT (And Later Too), 5 Books You Should Read Before And During Your MBA, and Books Every MBA Aspirant Must Read Before The CAT Results Come Out. 5th January, 5:40 pm – One of the most important questions you need to prepare yourself for is – ‘Why MBA?’. Use this community thread to post your reasons and to check out what others have to say. To answer, click here. 5th January, 2:40 pm – Should I take CAT again? Important question. We have one answer so far which will definitely help you start thinking. Check the discussion here. 5th January, 2:30 pm – You know one of the most common mistakes aspirants make is to wait for their CAT results and then start preparing for GD-PI? Don’t be that person. The only way to get ahead is to be well prepared. And preparing for GD-PI takes time! But don’t you worry. We have weekly GD on InsideIIM. Here’s one that you can start with – There Should Be Reservation For Women In IIMs And Other Business Schools. And while you are at it, check out the community section as well. It’s designed in a way to get all your MBA related questions answered by people who know what they are talking about! Ask questions, answer questions that matter, etc. here. 5th January, 1:20 pm – Do you realise that MBA is a means to an end and not an end in itself. People enter the best business schools and yet are able to do nothing remarkable with their life. To help students start planning for life after MBA – which is what is the ultimate goal – we have the list India’s Most Desirable Recruiters – Season 6. 5th January, 12:45 pm – How do you make the best of this waiting time? Read up everything about MBA interview preparation. We recommend this story on 10 Worst Career Goals Essays. The starting point for all IIM/XLRI/SPJIMR interview preparation. By the way, check out our course on it here. 5th January, 10:45 am – No sign of results yet. To be honest we don’t realistically expect it to come out today. Don’t remember the last time in the last 8 odd years when it came before the 2nd week of Jan. In fact it has come on a lot of occasions after Jan 10th. But we could be wrong. There is always a first time. We will wait and see. By the way, here’s some trivia, did you know that there was no concept of a CAT Scorecard prior to CAT 2003? Only call letters were sent to candidates. They would never know their percentiles. Ever. 4th January 2018, 5:51 pm – Rumour has it that the CAT results will be out by 5th January. But we are still awaiting official confirmations on this. Till then keep following this LIVE BLOG to ensure you don’t miss out on any important updates! Also, to help you convert the call, we have a short but comprehensive course on MBA Interview Prep by Deepali Naair. We are pretty sure you want to stand out and bag a seat in a top b – school. So how do you stand out? The sure shot recipe to MBA Interview success? Join the MBA Interview Prep Masterclass with Deepali Naair. Deepali Ma’am, Interview Coach, Recruiter, and visiting faculty at b-schools, with 23 years of Corporate Experience, shows you how to get into your dream b – school! Check out some success stories narrated by Deepali Ma’am’s students here. View the free sample and take the course here.